Charles William Bartlett was active/lived in New York, Hawaii / United Kingdom. 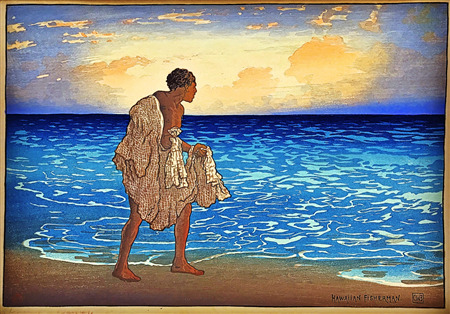 Charles Bartlett is known for portrait painting, wood-block print-Oriental themes. 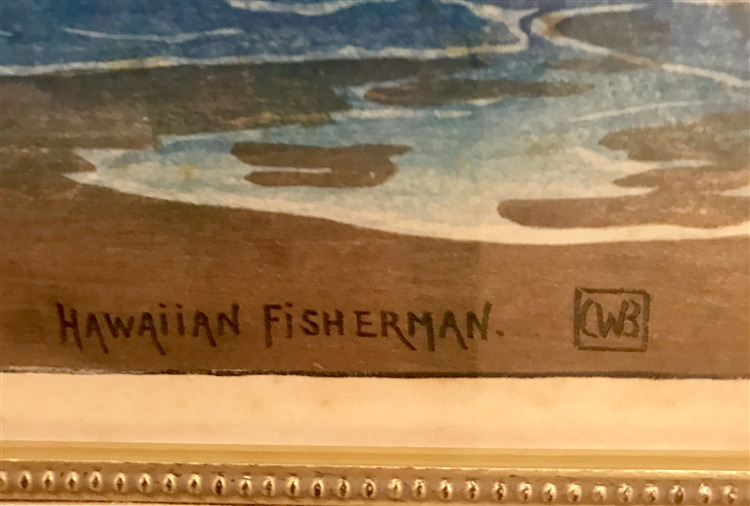 Seller's Notes/Description: Bartlett's rare and famous 1919 woodblock print shows a Hawaiian Fisherman. Excellent condition with color bright and crisp from a private collection. Archivally framed and matter. Koa wood with linen mat and ready to hang.